Macs are very user-friendly machines, and they ship with plenty of useful tools to get you up and running right out of the box. The mail program included on today’s Macs are fairly robust and convenient, with many features that were lacking on even powerful email clients just a few years ago. However, one feature that sometimes goes awry is the Mac junk mail filter. While it does an okay job in a lot of cases, you might find that it is just too aggressive with the junk label. If this is the case, you might be better off with simply turning it off. But in some cases, you may find that the optional settings work best. Let’s take a look. 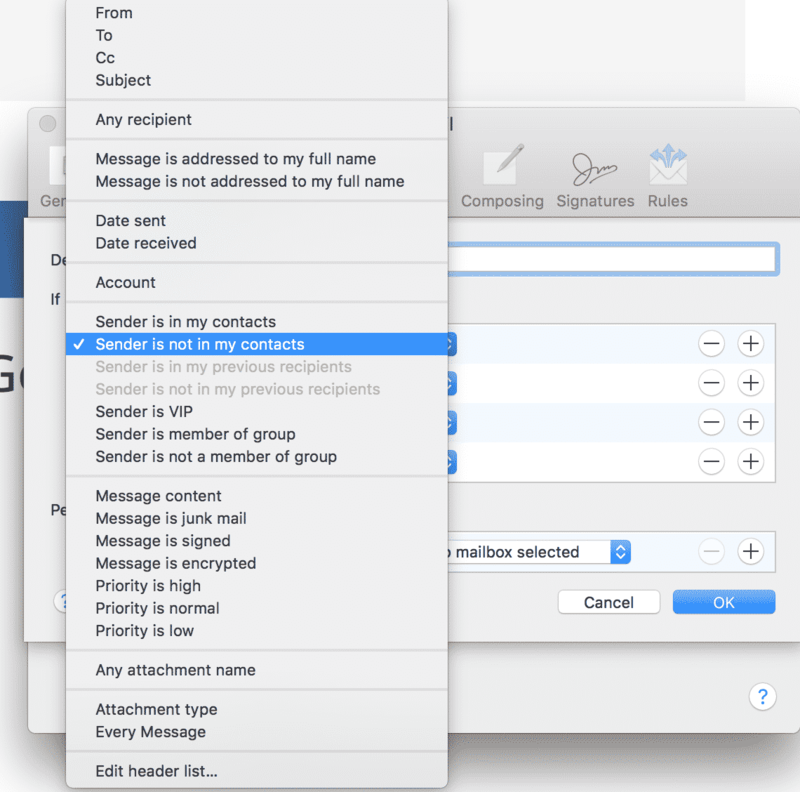 To turn off the Mac junk mail filter, launch Mail and go to preferences. Once there, you will find the Junk Mail tab. Select it, and then, at the top of the screen, you will find the option to enable the built-in junk mail filter. Simply make sure that this checkbox is not selected. Once you do, the rest of the options on the dialog should gray out. After everything looks okay, exit the dialog. This change will start right away, there is no need to restart Mail. 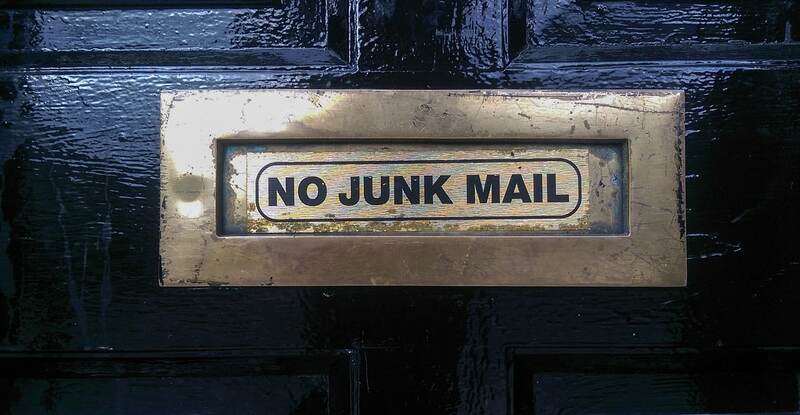 If you were experiencing issues with many of your important items being erroneously marked as junk, you should now find that they arrive in your mailbox just as they should. In my case, I turned the Mac junk mail filter off a while back and never looked back. However, individual use cases will vary, and you may find that the junk mail filter was actually working better than you had thought. If this is the case, simply go back to the preferences option and re-enable it. But now let’s take a look at taming that Mac junk mail filter. If you do decide to turn junk mail filtering back on, there are options in place to help tune it. The first one you should consider is where you want the junk mail to go. 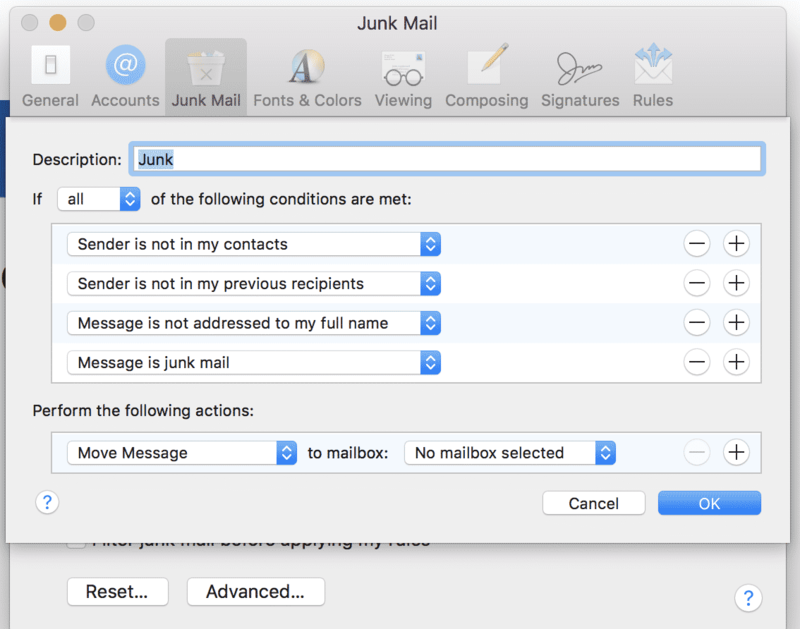 Since sometimes the junk mail filter may still identify valid mail as junk, you will probably want to leave it in the inbox but mark it as junk. This allows you to quickly and easily retrieve it when needed, or delete. You can also automatically move junk mail to a junk mail folder, but be sure to check the folder for valid items every once in a while. Also, be sure to check it if you are missing an expected email item – you may just find it sitting there. But there is another option, and this is where the real power in tweaking the Mac junk mail filter lies. 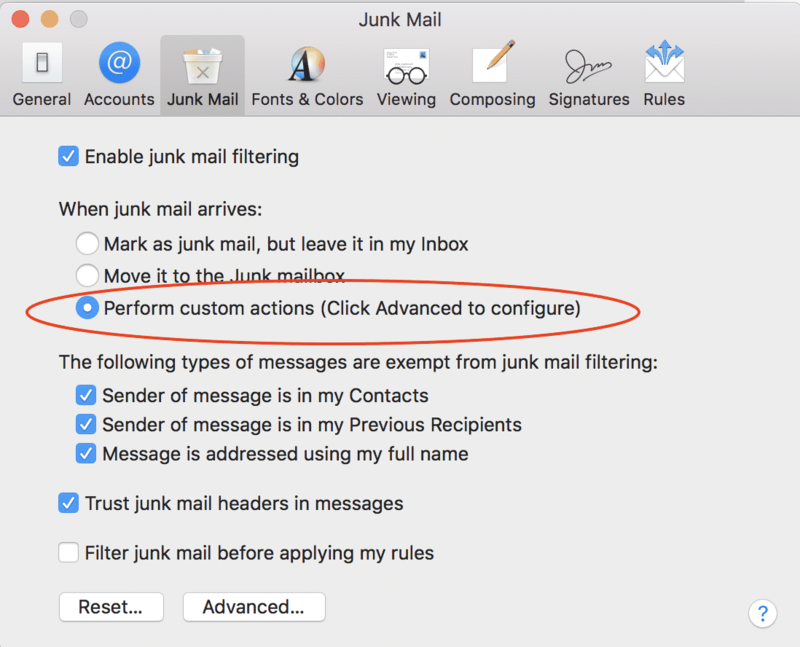 To set up custom junk mail filter actions, go back to the junk mail tab of preferences and select the perform custom actions option, then click the advanced button. You will then be presented with a dialog to manage the junk filter logic. You should find that a few rules are already defined for you, with the options of adding more or deleting others. To modify an existing rule, just click on the current selection. This will present a list of conditions that you can apply as needed to tweak your junk mail filter. And remember, you can add more rules or delete existing ones as needed. In practical use, I think the first two choices make sense. However, you may find that too many places you do business with online share your information, and often that includes your full name. Uncheck this setting if this is happening to you. You should also note the “Trust Junk Mail Headers” option. Sometimes other servers will use the raw message header to indicate that it is not junk mail. By default, this seems to work fairly reliably. But some spammers are finding ways to spoof this message, which allows the junk mail filter to bypass any checks for that message. If you find yourself getting slammed with junk mail marked as valid, consider unchecking this option. As you can see, the Mac junk mail filter is a fairly robust implementation of junk mail detection. And while some (myself included) prefer to not use it and instead self-filter, many people, especially those that see a high daily volume of mail, may find that this is a valuable tool to help handle the deluge. 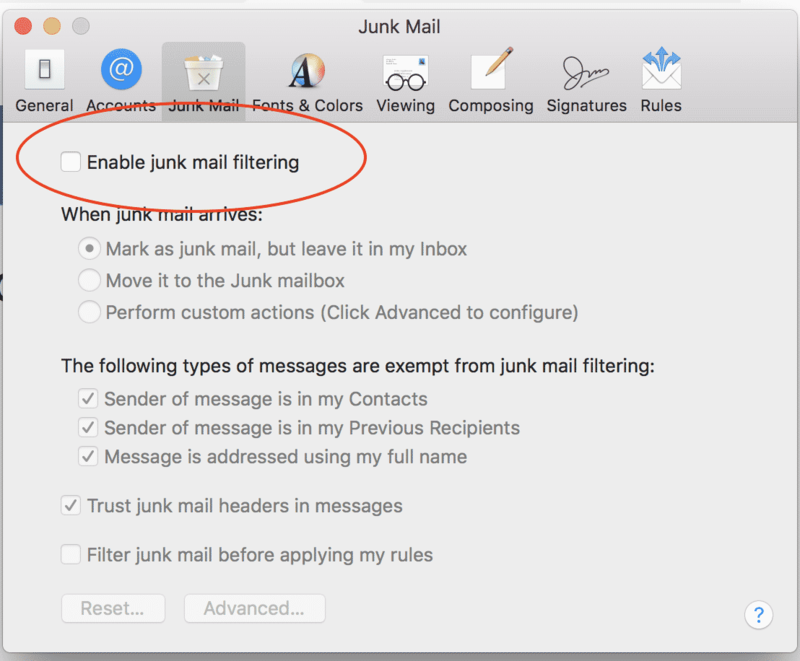 Feel free to experiment with the settings to see which works best for you, but you should find that it is easy to reset the junk mail filter back to the original settings if something doesn’t work. Personally, I think the best way to handle email is to limit how much you get in a day, but that is a conversation best left for another time. With luck, you may find that your email is much easier to manage after all the junk has been removed. And if you need to send an attachment, check out our handy file zip guide for doing that on a Mac.